Article from The Hill by Emily Birnbaum. Sen. Rand Paul (R-Ky.) is planning to lead a U.S. delegation to Moscow on Monday. Paul wrote about the trip to Russia in a Politico op-ed last month, in which he argued that the U.S. should pursue a productive dialogue with the Kremlin. 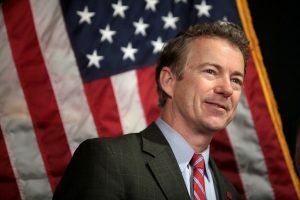 “In just a few weeks, I will take my own trip to Russia in an attempt to discuss common ground with their leaders and help prevent further, unnecessary escalation of tensions,” Paul wrote, though he did not specify a date at the time. The real problem with Con-gress is the dual citizenship US?Israhell……Don’t you get it ?? ?